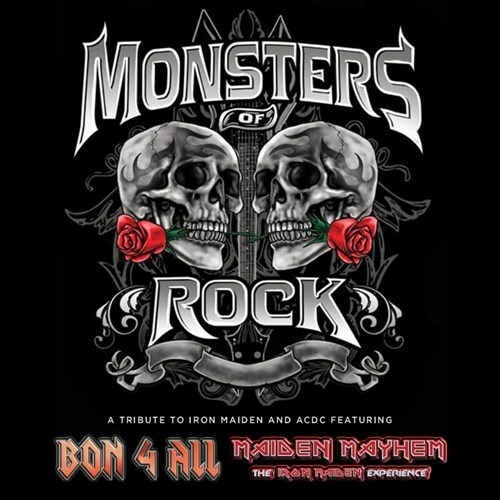 In the tradition of the 'Monsters Of Rock Festival', one of the greatest rock festivals in the world, we are very proud to announce two tribute bands, Maiden Mayhem and Bon 4 All paying tribute to two of the biggest bands to ever headline England's 'Monsters Of Rock' - Iron Maiden and AC/DC. This will be a power packed night of hard rock and classic metal covering the classics from Iron Maiden and Bon Scott era AC/DC. So get your ROCK on, get to the Top Of The Ark and be part of this RnR party! $25 at the door if not already sold out - Doors open 8pm, show stars 9pm.